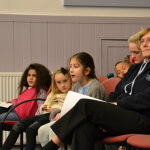 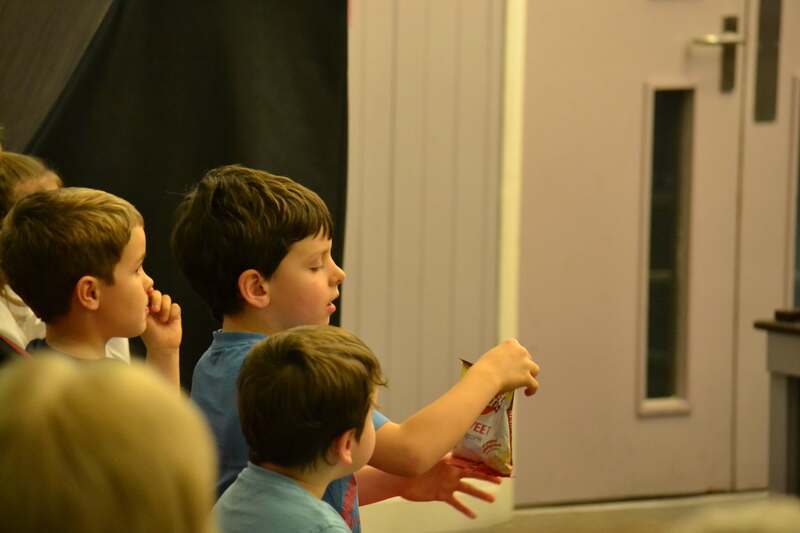 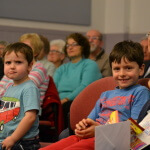 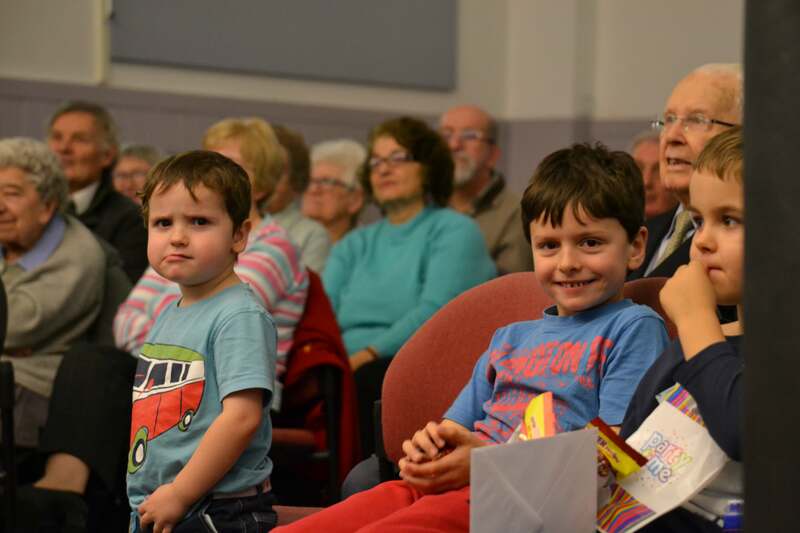 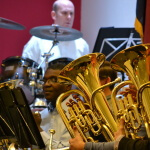 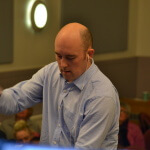 Our recent Music from the Movies evening proved very popular locally. 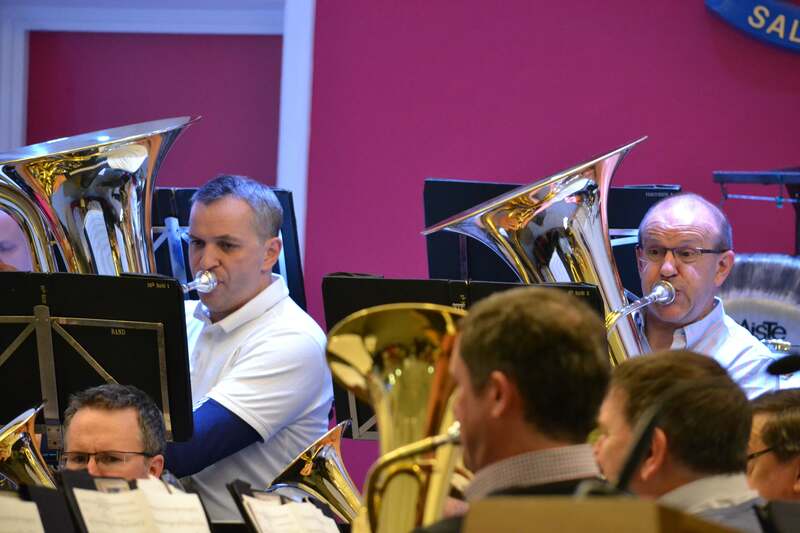 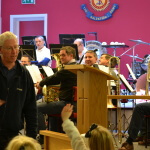 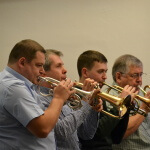 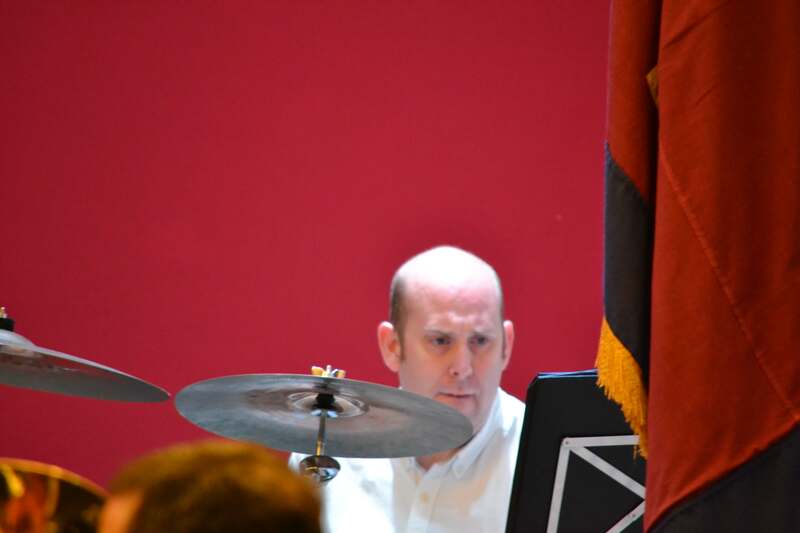 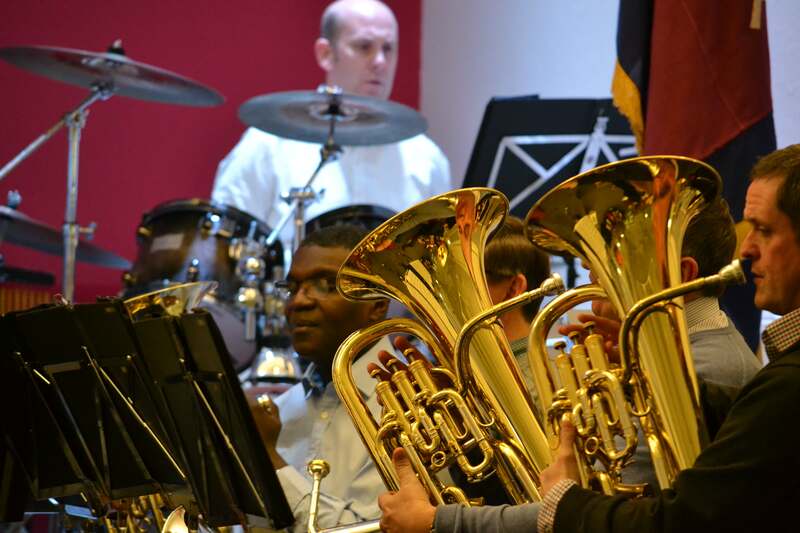 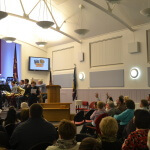 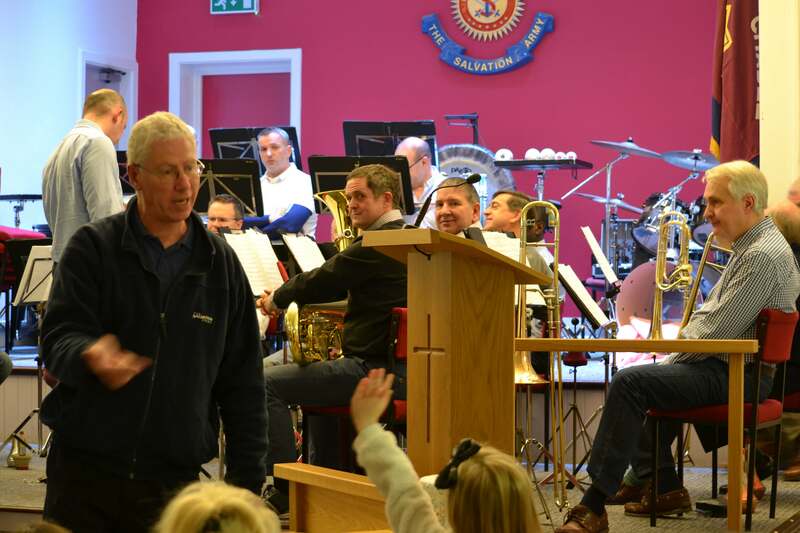 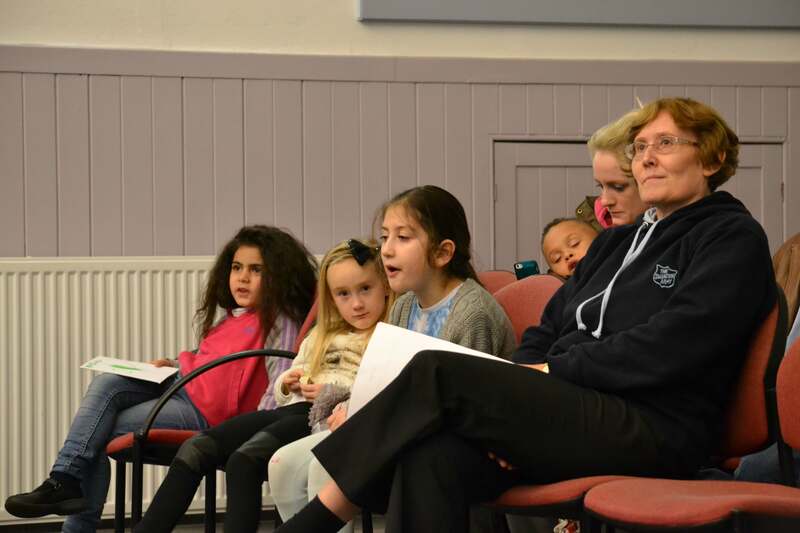 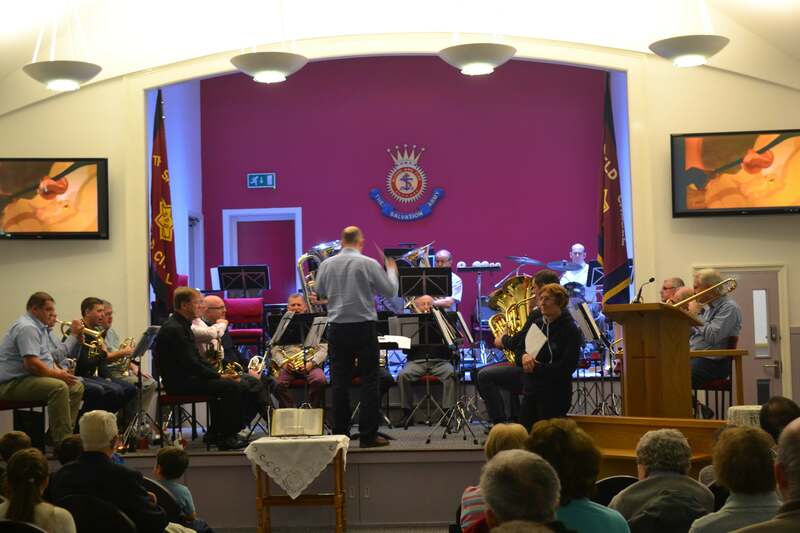 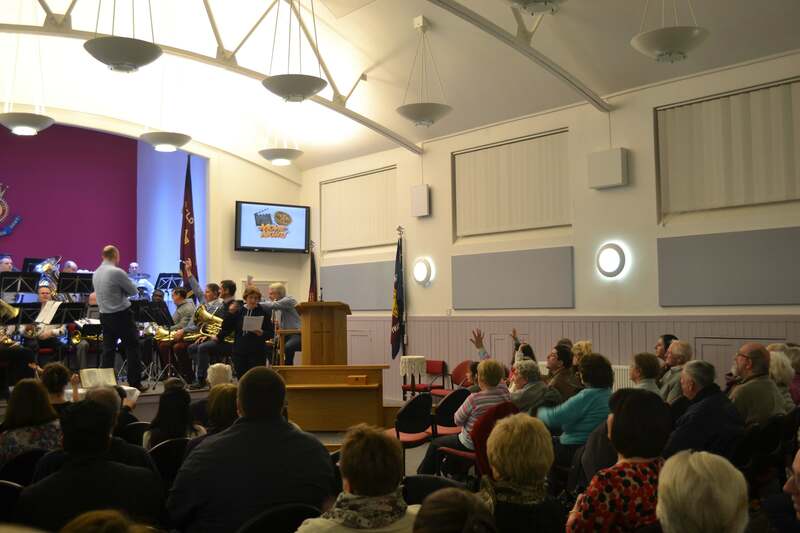 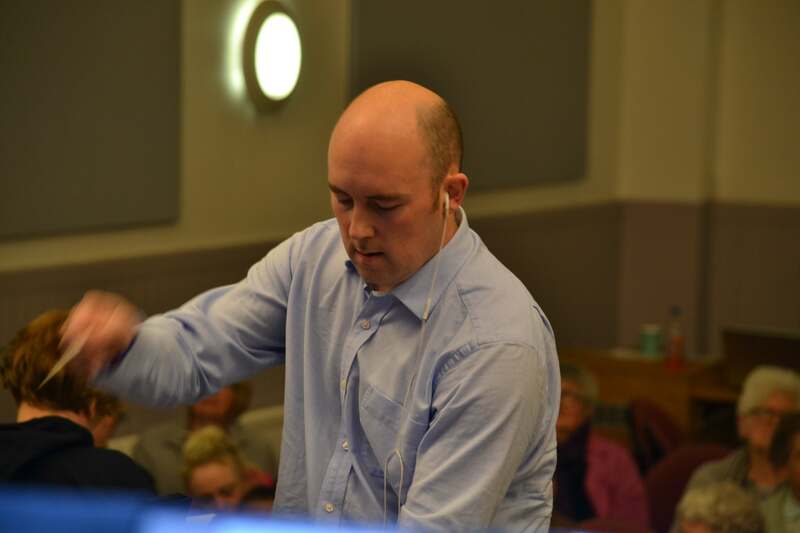 The photo’s below, courtesy of former bandsman Stuart Garman, provide a pictorial glimpse of the band in concert and informally in the local community. 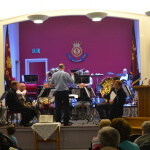 The programme was directed by Majors Alison and Andrew Gaudion. 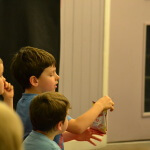 They kept the programme moving with regular interaction with the children in a variety of ways. 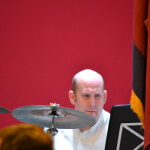 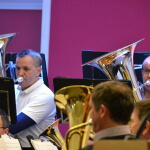 Ensuring that the band’s music and the movie clips require much concentration from the bandmaster as these photos demonstrate. 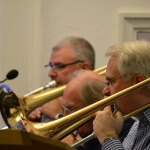 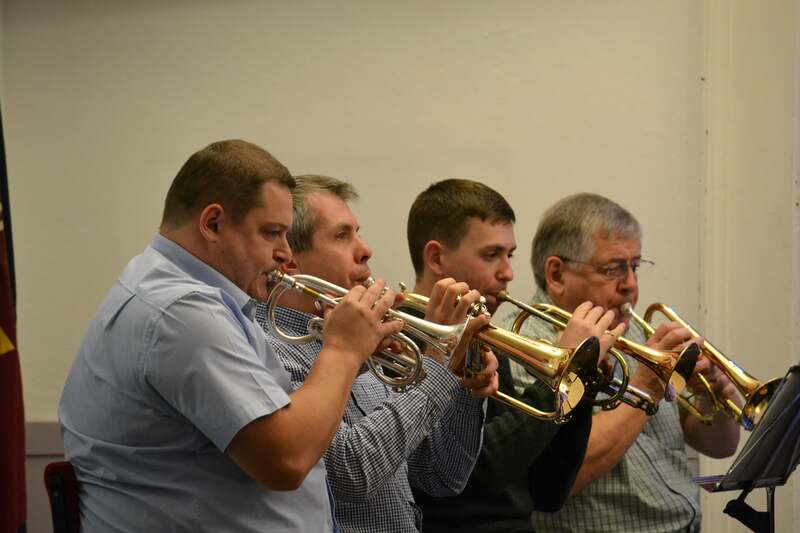 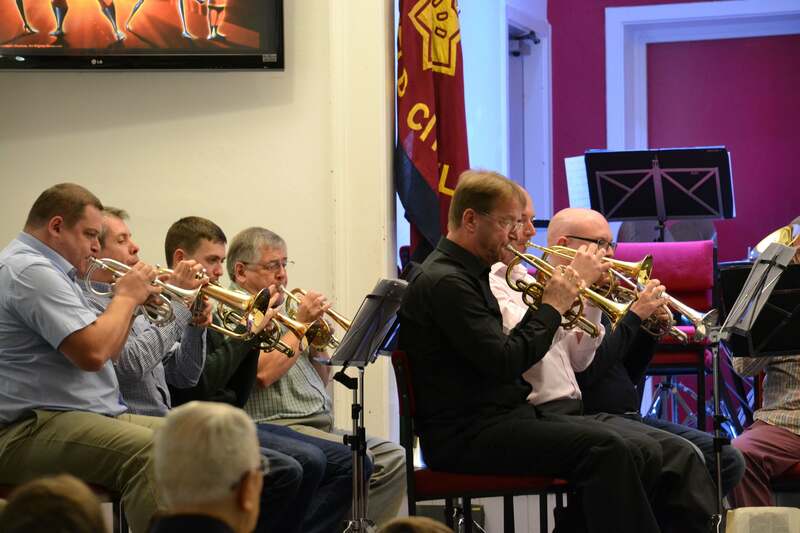 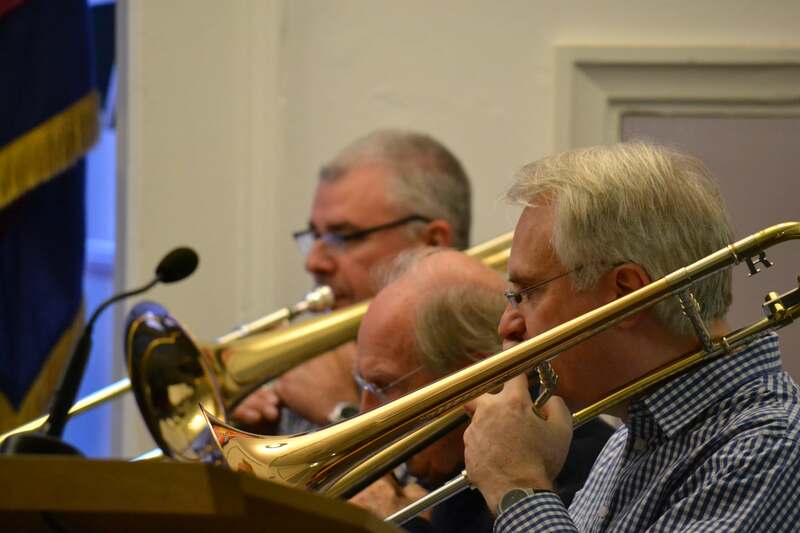 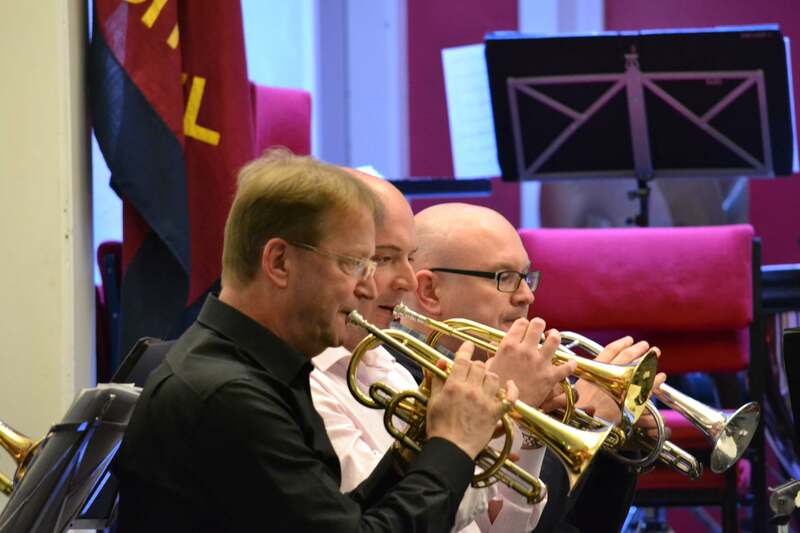 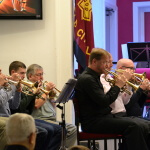 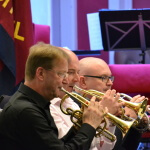 As this was a local community initiative the band adopted an informal dress code and were pleased to have the assistance of some guests including Bandmaster Don Jenkins on Trombone.